I've been playing a lot of Invincible Tiger lately, getting ready for our review this week. I'm a very aggressive player in most fighting and beat em up games, but Invincible Tiger is a game about balance. You see, Invincible Tiger: The Legend of Han Tao rewards you not only for attacking, but defending. 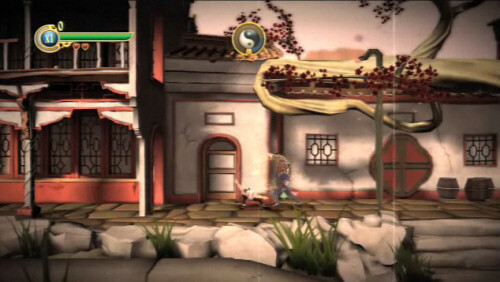 Instead of blocking, you'll dodge and roll to fill up a Yin-Yang meter which increases your combo and score. The team at Blitz games has put together a short hints and tips video showing off some of the combos, boss fights, and general how to of the game. It definitely helped my score so check it out. And remember - all of this is valid for co-op - in fact the Yin-Yang meter is shared in co-op play! Page created in 0.2929 seconds.